Are you reading the computer screen right now? Are the letters crisp and clear? Do you see an array of colors and shapes in your peripheral vision? 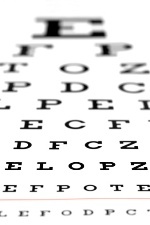 Many people don’t have perfect eyesight due to injury, age-related wear and tear, and disease. If you don’t have good eyesight, you might find it difficult to read from afar, or you may feel like everything is constantly blurry around you. For some people, this may be a temporary state. For some unfortunate others, poor eyesight is a permanent fact of life. But thanks to new nanomedicine technology, vision problems don’t have to be permanent. One of the main triggers for poor eyesight is the presence of a corneal infection. This type of infection is much more widespread these days, due to the increase in corneal surgeries for cataracts, glaucoma, and other conditions. Many times people find that, somehow, bacteria are able to invade the cornea after surgery and that’s when an infection can set in. These infections can be serious, causing irritation, ruptures, and inflammation. If left untreated, blurry vision, and even blindness can result. Researchers have discovered that they can use nanomedicine to improve the delivery and the quantity of medicine that an infected eye receives. Normally, conventional drops are put into the eye. With this type of drug delivery, scientists estimate a mere five percent of the medicine actually reaches the site of infection. Since your natural tendency is to blink and tear up whenever something touches your eyeball, it washes away even more of the medicine, making these conventional drugs very ineffective. That’s where nanomedicine comes in. Scientists have come up with a way to get drugs directly where they are needed in the right quantities. Soft contacts can be filled with nanoparticle drugs and delivered to a precise spot on the eye. Not only that, the medicine can be released over a sustained period of time. A research team recently tested the effects of nanomedicine on dogs with glaucoma. They delivered a drug called timolol through contact lenses. Because the nanomedicine was concentrated and potent, only one third of a dose was needed to reduce ocular pressure when compared to conventional eye-drops. The researchers also experimented by adding vitamin E to the nanomedicine which had the effect of prolonging the release of timolol. This research has the potential to change the lives of people with vision problems—I can’t wait to see what else nanotechnology will reveal. Xu, Q., et al., “Nanotechnology approaches for ocular drug delivery,” Middle East Afr J Ophthalmol. January 2013; 20(1): 26-37.